Welcome to the Official home of Almaden Staffs! Spear - The Love of my Life! 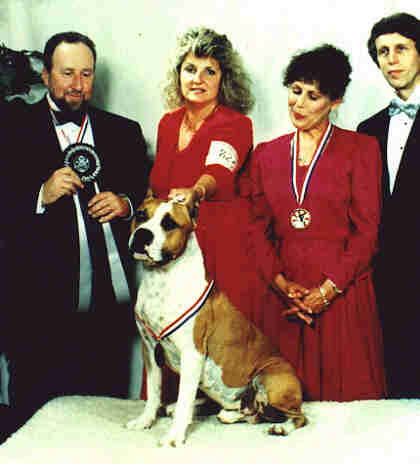 INTERNATIONAL- MEXICAN-AMERICAN BISS SPEAR EAGLEVIEW OF ALMADEN PRODUCER OF 30 CHAMPIONS AND BEST IN BREED WINNER AT THE N. CALIF TERRIER SPECIALITY DEFEATING 60 AMSTAFFS. Please note: all images and descriptions contained in this site are the property of Almaden Staffs and subject to copyright law. Please do not use images from this site without our written permission.